We have resources here at Lake Worth Homes For Sale to help you find real estate agents in the nearby area. Therefor, these agents know the area well and can help you buy or sell your home with local knowledge. Lake Worth is the only water supply owned by the City of Fort Worth. Although, Fort Worth owns the land, Tarrant Regional Water District has the water rights. Lake Worth was the second municipal water supply built in Texas, constructed shortly after Dallas’ White Rock Lake. The man-made lake was constructed for $1.6 million and was first filled on August 19, 1914. It is situated six miles northwest of Fort Worth on the West Fork of the Trinity, covering 8.48 square miles. This big, beautiful lake in west Fort Worth is a great place to go boating or fishing. It’s also home to the Fort Worth Nature and Center Refuge, one of the largest city-owned nature centers in America. There are many parks with picnic tables and playgrounds where your family can enjoy the water and scenery. Let us know if you spot the legendary Lake Worth Monster! This park offers athletic fields for our youth and adult visitors. It currently has two (2) baseball fields, one (1) softball field, and a soccer/football field. This location also has a playground for the kids and a skate park for all ages. The City currently has two (2) organizations that regularly hold events at this park. Homes for Sale in Lake Worth, TX have a median listing price of $204,950 and a price per square foot of $120. There are 93 active homes for sale in Lake Worth, Texas, which spend an average of 35 days on the market. 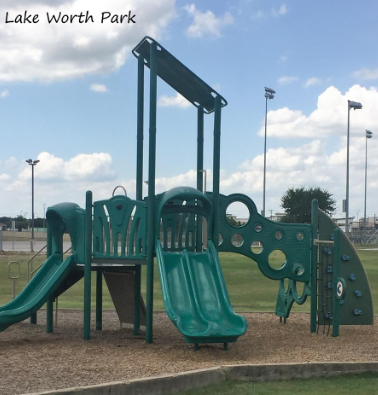 Some of the hottest neighborhoods near Lake Worth, TX are Marine Creek Ranch, Eagle Ranch, Far Greater Northside, Alexandra Meadows, South Lake Worth. Lake Worth is rated below average in school quality compared to other schools in Texas. Students here perform below average on state tests, have below average college readiness measures, are making below average year-over-year academic improvement, take about the same advanced courses per student as the state average, and this school has below average results in how well it’s serving disadvantaged students. The table above illustrates an overview of the annual crime reported in Lake Worth, TX. These figures on reported criminal activity in Lake Worth, TX, based on a reported crime per 100,000 citizens, is shown in order to compare these rates across disparate categories. You will notice that the crimes collected here, for comparison purposes, have been separated between violent crimes and those involving or threatening property. According to the annual crime data, the crime rate in Lake Worth, TX is 209% higher than the average of the whole of the state of Texas, and when compared with the national average, is 238% higher than. When looking at violent crimes, Lake Worth, TX has 40% lower than violent crime rate than Texas average, while remaining 31% lower than the national average. In property crime, Lake Worth, TX is 252% higher than the average of Texas and is 282% higher than the national average.